Whether you’re planning a nonprofit gala, corporate retreat or disability awareness event, Chris Powell will entertain, inspire and motivate your audience. Attendees will walk away from your event with a new perspective they will cherish. October is National Disabilities Employment Awareness Month! Book Chris for your events during the month of October. 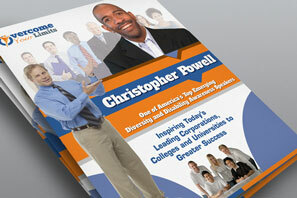 Chris speaks on topics of such as, “The Will to Win” and “The Value of Diversity”. Your audience will be informed, entertained, and enlightened by Chris’s delivery and his compassion that he brings.